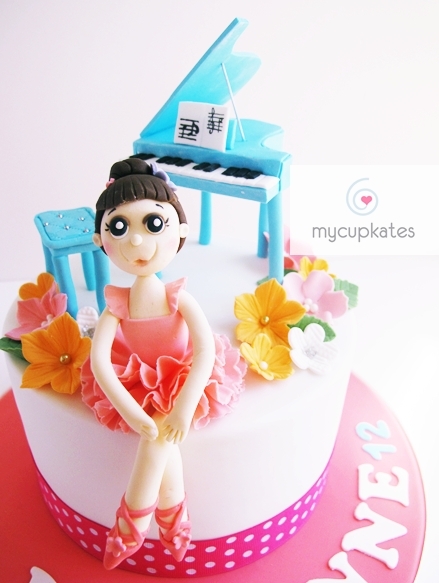 I love this girly & cute looking Ballerina cake and enjoyed so much making it. 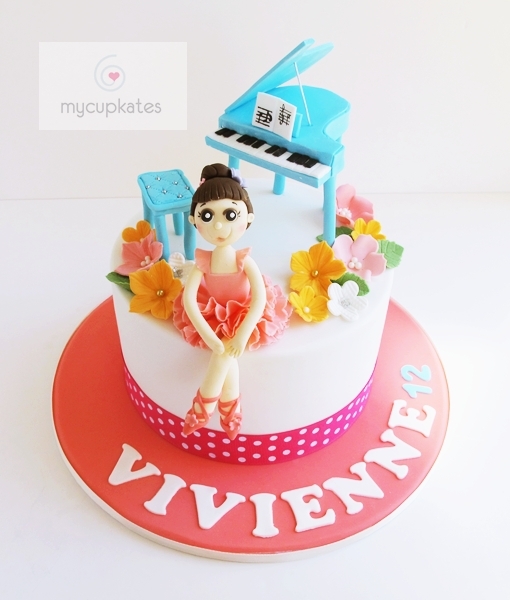 I end up falling in love with each cake I made..
People may call it just a cake but for me, it is more than a cake. It's someone's special memory in his/her life and a joy to share their unforgettable moment. 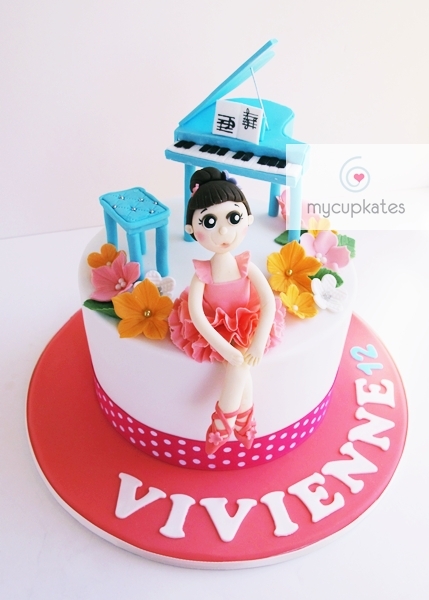 After making this cake, I looked at it and imagined that Vivienne would keep a photo of her 12th birthday with her cake made only for her and look back at her memories when she grows up. It just makes me smile and feel warm.. I'm speechless!! 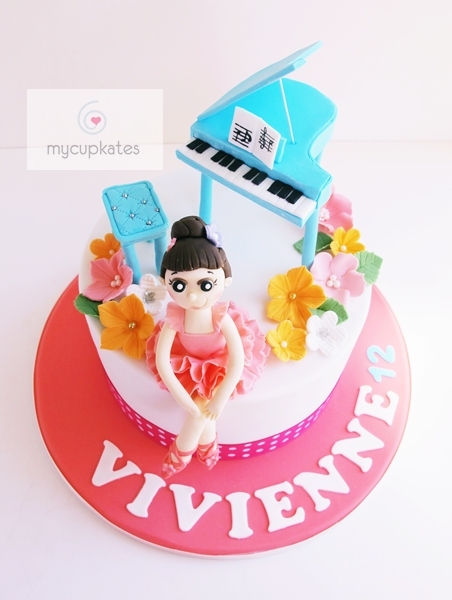 This cake is beautiful, its so cute!!! You've definitely made my little cousin's birthday a very memorable one! Thank you so much Kate! !